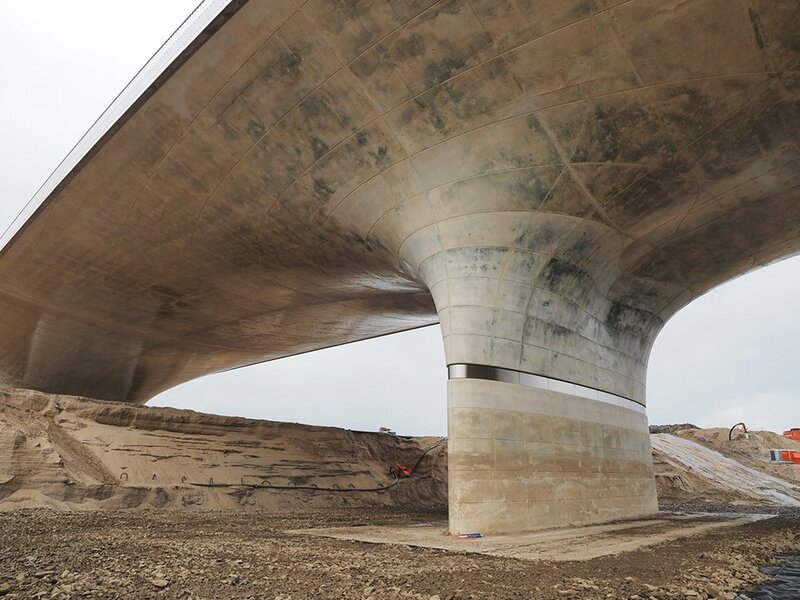 The “Verlengde Waalbrug” is an in-situ post-tensioned concrete bridge with a total length of 275 m. With its spectacular double curved lower shell and hybrid foundation, several challenging problems had to be solved. 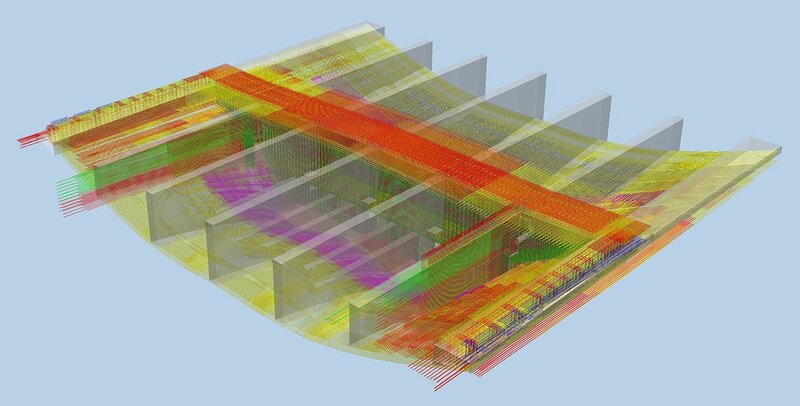 The project succeeded by combining the strengths of Allplan Engineering and SCIA Engineer in a BIM environment. 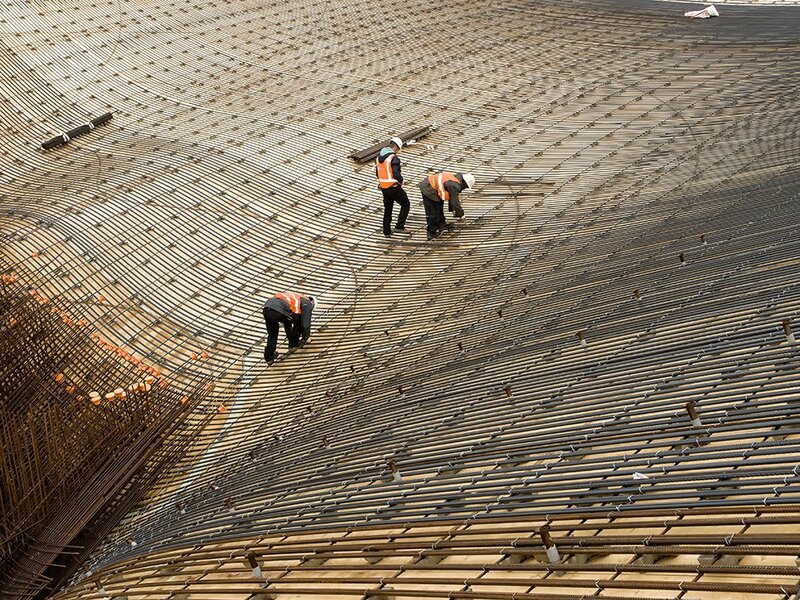 Slices of the Allplan 3D organic model were transported to SCIA Engineer where the complex geometry of the structure was generated with 3,200 shell elements. 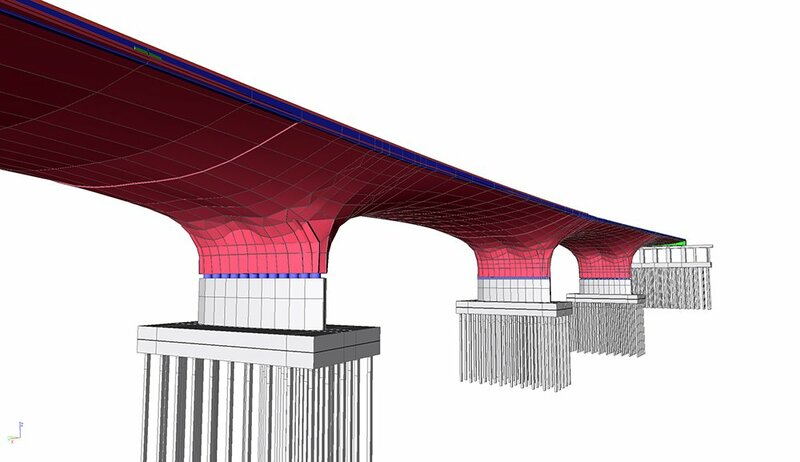 SCIA Engineer offers the option to combine advanced geometric modelling with all kind of loads, powerful post-processing tools and transparent reporting capabilities all in one model. 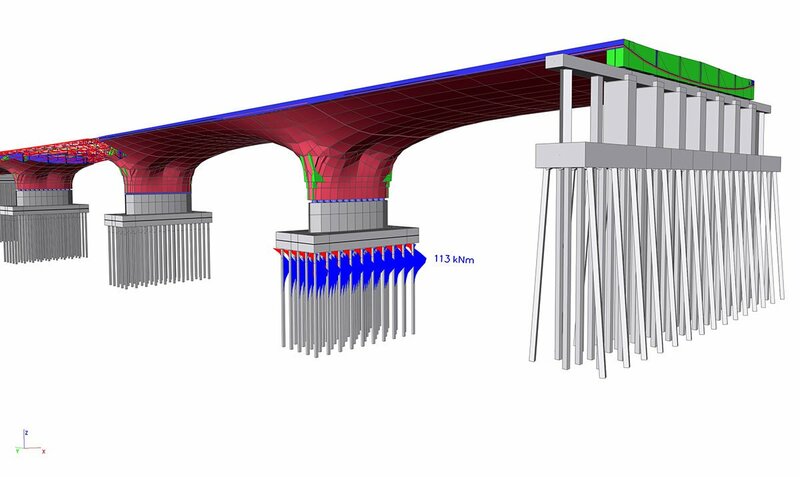 With SCIA Engineer the interaction between the hybrid foundation and the bridge was investigated, resulting in optimal dimensions. 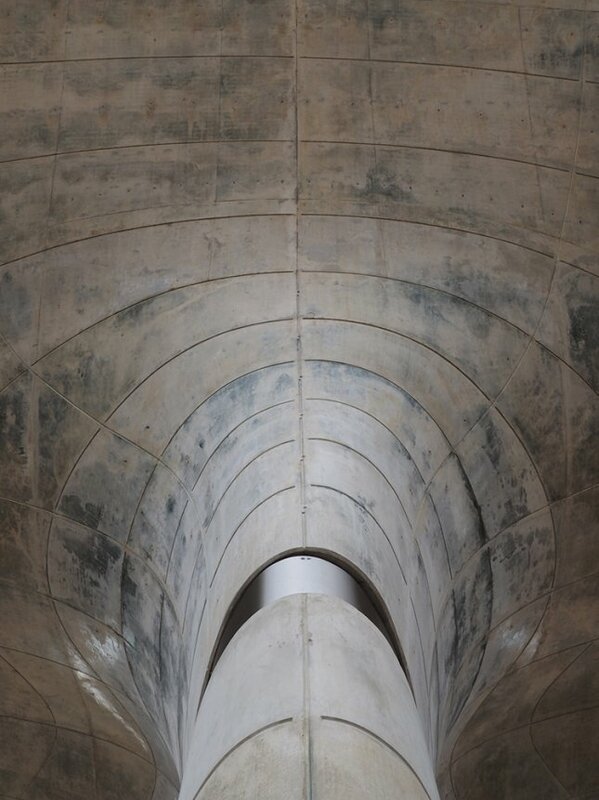 By using the integration function in SCIA Engineer the forces in the longitudinal direction were extracted such that simple cross-sectional checks could be performed, leading to a transparent and verifiable calculation. The dimensions could be quickly tuned with the acting loads. 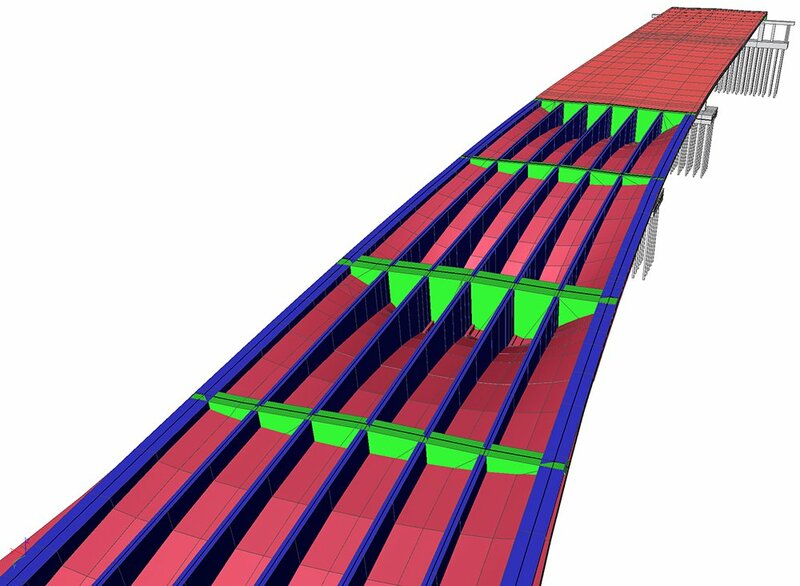 By modelling the bridge deck with shell elements, the beneficial effect of the lower shell acting as a compression arc is taken into account, reducing the amount of reinforcement required. 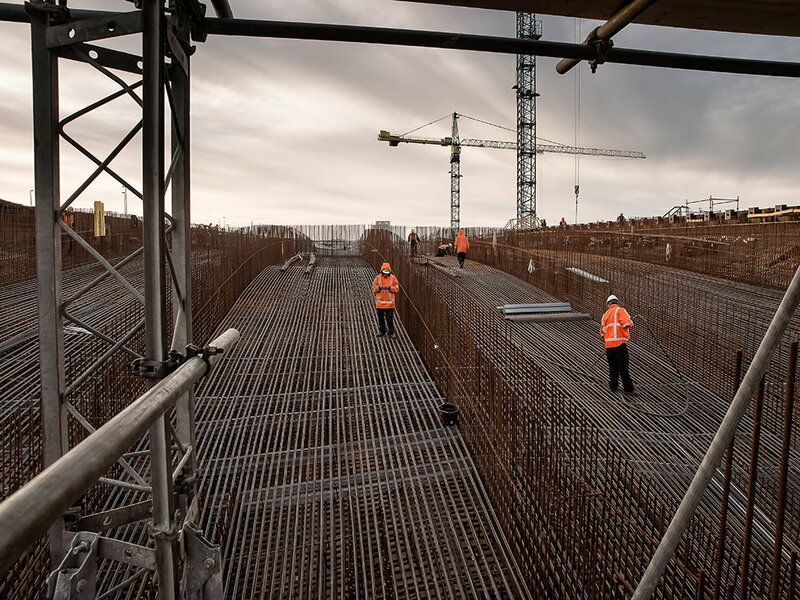 The designed reinforcement in Allplan was used directly, shortening the production path.